Today, we have the pleasure of speaking with actor, author, pastor and film producer, Lucas Miles. First, we'd like to thank you, Mr. Miles, for taking time out of your busy schedule to join us. 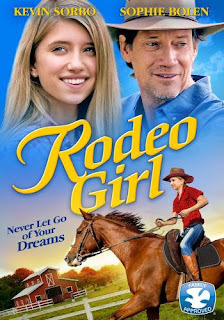 And, to our readers, we do hope that you will take time out to watch his new movie, Rodeo Girl. It looks to be a great family movie and, now that it's on Netflix, DVD and Amazon Prime, those of you who don't get out much can still enjoy this great family feature. CIAN: Mr. Miles, we would like to begin with a question about your new book, Good God, that is due out in March, 2016. I have read the material and excerpts available on-line for the book. I am a Christian who believes that God is indeed a good God. What can your book offer me as someone seeking a closer walk with God? Miles: Like many people, I grew up in a church expression that spoke about God's goodness but struggled making sense of the dichotomy that often exists in our understanding the harmony between the God of the Old Testament and the person of Jesus. In Good God, I attempt to tackle what I refer to as the "problem passages" that regularly create confusion and call God's character into question. I think that anyone can pick up the book and fall more in love with the God of the Bible. CIAN: Thank you and I do plan to read the book. I see you have a book signing coming up at noon on March 12th at Barnes & Noble in Mishawaka, Indiana. I hope our readers in that area can get out to see you. Now, continuing in the same vein of thought, how long have you been a Christian and, when did you feel the calling to be a pastor? Miles: I actually felt a call to the ministry at about 15 years old. I was at a youth conference and the speaker told us to ask the Lord for the name of someone back home who needed to hear about Him. A girl's name popped into my head and when I got home I called her and timidly told her what happened and that I wanted to know if she needed prayer for anything. She immediately started weeping. Once she regained composure, she informed me that the exact hour that her name was laid on my heart, she and her family had received word that one of her brothers had died. It was a powerful moment that I'll never forget. Through that experience, I felt the Lord calling me to ministry. CIAN: That was an amazing sign of things to come. Thanks for sharing that very touching story. Continuing on, Mr. Miles, when looking at your future, with faith and grace as your foundation and as you continue to follow Christ’s leading, what does your five to ten year life plan include? Miles: I really believe that Grace gives us the ability to do more through God than we could ever do on our own. In many ways, I feel like I'm just starting. I am currently working on my second book, writing a couple screenplays, and making plans to produce a film this fall called The Penitent Thief. In 10 years, I hope I've been able to release more books, films, and continue to grow my nonprofit, The Oasis Network For Churches (http://oasnet.org/). Miles: Miles Media is just getting started. We have some big things in store for the future and some really exciting projects in development. As for me personally, I direct segments of about everything we do. This past year, we worked on music videos, sitcoms, feature films, and even some commercial videos. As an executive producer, my job is to assemble the team, finance the project, and oversee it from start to finish. I enjoy directing, too, which is more singularly focused on telling the story, but I always suspect my attention will lean more toward producing, at least for now. CIAN: Wow! That sounds like a lot for just getting started. 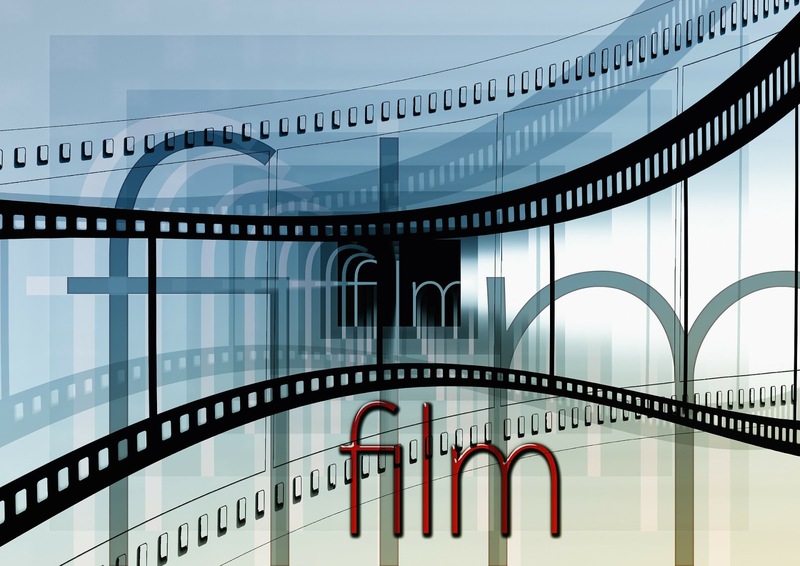 Before actually delving into a few questions about the film producing aspect of your life, you are also a life coach and advisor for film stars and athletes. In this capacity, are you able to share your witness for Christ? Has being a Christian ever created any barriers or hindrances when selecting a client? Miles: As a life coach or advisor, I've been blessed to really be able to decide who I work with. Most of my clients are high performers with a passion to leave their mark on the world - for the better. I love working with entertainers especially. Although not all of them are Christians, they usually know who I am and where my advice stems from before we start working together. I've had to work through some pretty sensitive scenarios with clients in the past. Entertainment can be a really morally complicated field, especially for actors, but I always love a challenge. Most of all, I find it really rewarding to help people get in touch with Christ in their heart and hear from Him regarding the steps of their life. CIAN: Thanks for sharing. This is all so fascinating. I pray that God sends you some actors who are open to doing Christian movies and might also need good seed sown into their lives. Now, just a question of curiosity, how did you meet Kevin Sorbo and Dean Cain? Miles: I only met Dean briefly on the set of Small Town Santa. I was working with one of the cast and got to enjoy some time connecting with Dean. He's a great guy! Kevin, on the other hand, starred in my most recently released film, Rodeo Girl, which I co-produced alongside Joel Reisig. Kevin and I have stayed in touch some since and I was really blessed to include him as an endorser on my new book, Good God: The One We Want To Believe In But Are Afraid To Embrace. CIAN: Thanks. I'm a fan of both Dean and Kevin. I pray they are able to cross paths with you again; they are both great actors. 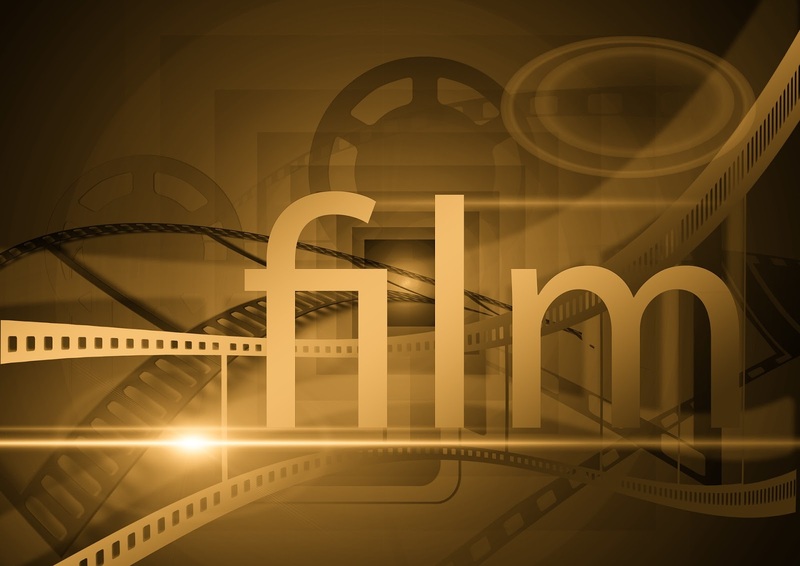 As we continue into the film producing aspect of the interview, what do you look for in a script that makes you choose a project to produce? Miles: Some things are a given; it has to be a great story and work well on screen. It also has to be able to be produced at our budget level. Every project we do has been bigger than the last, but since we aren't funded by major studios, we have to look for projects that seem reasonable and that we can shoot creatively and still have them work on screen. Most people would be shocked by the budget of Rodeo Girl, but I think it turned out really well and works. CIAN: I hope to see it soon. From viewing the trailer, it looks like a great film. What was the deciding factor(s) in the decision to produce The Penitent Thief? Do you know what prompted the writing of the book? Miles: The story. I read the book in one day and was really moved by it. Don Willis, the author, has become a great friend and his writing really inspired me to see the depth in some of the characters in the Bible that is easily overlooked. CIAN: Had you ever produced or acted in a movie before you became the principal and founder of Miles Media? Miles: I had produced quite a few music videos and even a couple short commercial and documentary type pieces over the years. As a coach, I was always involved in telling stories on screen, even if I wasn't actually directing them myself. I often times would be the idea guy and then hire someone to produce my vision. When I was a kid I made a trilogy called, The Particle Transporter. I always say I'm going to release it on YouTube one of these days, but just have never gotten around to it. For being made and edited completely on a single 1980's camcorder, it's pretty impressive. CIAN: It sounds like you've always been moving towards being a producer. According to your bio, you have other varied accomplishments (martial arts, basketball, boxing, golf, plays harmonica, drums and guitar, even ballroom dancing and the waltz!). In your busy life, do you have any “down time”? Miles: Travel is a big part of our life. My wife, Krissy, and I are definitely busy, but we try to get away any chance we can. Working out is always a big source of relaxation for me, though it's easy to get out of habit with all that's on our plates. I don't play music as much as I used to, and I've had to hit pause on my black belt training, but I hope to pick that back up in the near future. I've trained in Kalsadapo Karate. CIAN: Are any of the above listed activities considered recreation? If not, what do you do for fun and recreation? Miles: If I could only do one thing recreationally, it would involve the water - boats, swimming, etc. Though I'm a pretty poor swimmer and didn't learn till later in life, I still love the water; it's so energizing. CIAN: And, to bring our interview to a close and end on a more personal note, were you raised in a Christian home? Do you have any siblings? 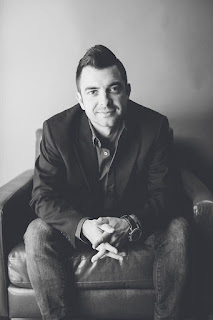 Miles: I have a very successful older brother, Josh, who is one of the principals for a major Indianapolis branding firm called, MilesHerndon.com. My younger sister is super talented as well, and is an interior designer, photographer, and military wife. My parents raised us knowing God though I think that all our understanding of what this means has enlarged as we have come to know His grace. CIAN: Thank you, Mr. Miles. We so appreciate being able to spend this time with you. 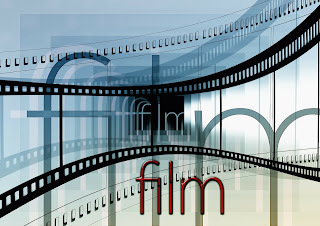 We look forward to the possibilities of speaking with you again when you produce your next family friendly movie!